The Student Nurses' Association is dedicated to promoting academic excellence and continuity throughout all levels of the nursing program. Membership is attained through an application process which is free of charge. Activities include monthly meetings, arranged forums or public speaking events, picnics/parties, media events, and a variety of sports events. Undergraduate and Graduate Nursing students are encouraged to make application to Sigma Theta Tau International, the Honor Society of Nursing. The mission of this society is to improve the health of people worldwide through increasing the scientific base of nursing. Members are nursing students and scholars committed to the pursuit of excellence in clinical practice, education, research and leadership. Undergraduate nursing students who have completed one half of their nursing curriculum, have achieved a 3.0 GPA, rank in the upper 35 percent of their graduating class and meet the expectation of academic integrity may qualify for membership. 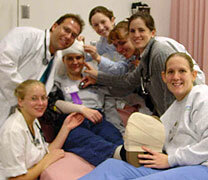 Graduate school nursing students are eligible for membership if they have achieved a G.P.A. that is significantly higher than the minimum graduation requirement, and if they meet the expectation of integrity. The College of St. Scholastica has many clubs and organizations to fit just about any student interest. There are also a number of committees wherein School of Nursing students can voice their ideas about policies and procedures-to do so, students must be nominated (by themselves or their peers) and elected as representatives. Elections take place the second week of fall semester.